We have put a zip in the back of this top at the customer's request. We have a Vivienne Westwood dress that someone has "had a go at". We will be following its progress as we mount a rescue operation. Our thanks to the owner for allowing us to use pictures of it. Click on the image to go to the page. Badly worn jeans can be given a new lease of life. This operation is also exceedingly effective on riding britches. Not a fantastic picture, but the worn pocket at top has been rebound and freshened at bottom. 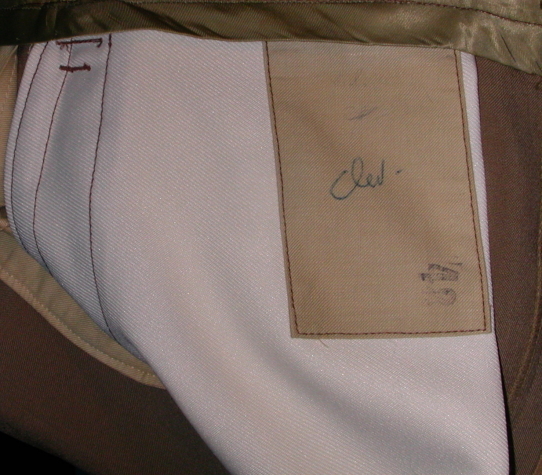 Same (USAAF Officer's trousers) garment. The front pocket has been repaired with original details incorporated into the new bag. The waistband has been rebuilt after letting out by 3"
Lady's glove. Split finger seam repaired. It makes our life SOOO much easier if you bring things to us when they start to fail rather than keep wearing them. 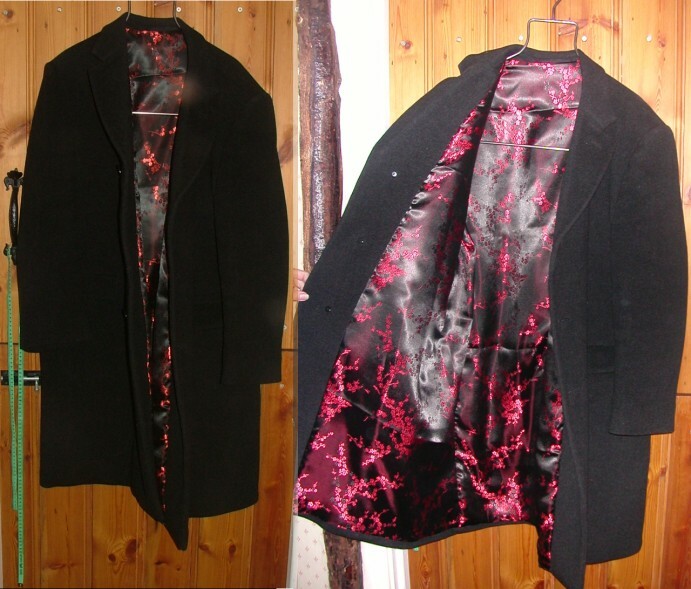 Gentleman's overcoat relined in black & red Chinese silk. Medals mounted on medal board. 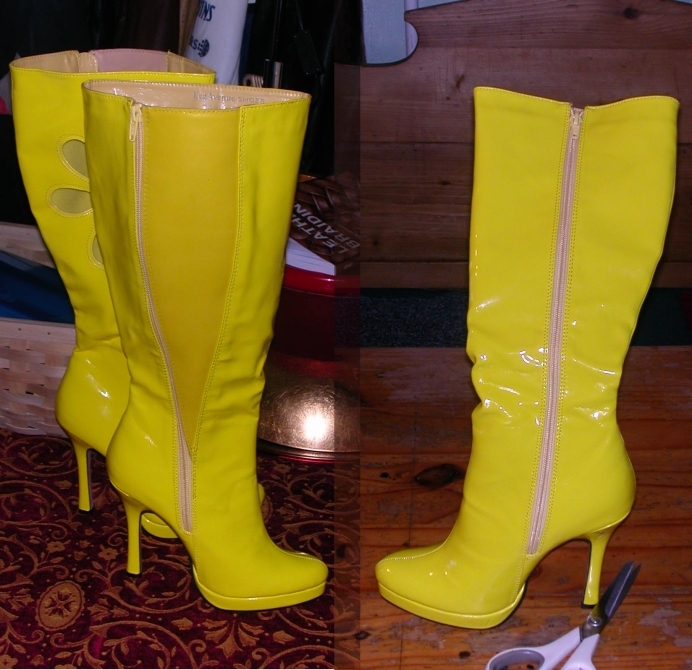 Party boots with very small foot (R) and tiny calf altered for a more normal leg (L). Driza-Bone jacket with badly worn lining under the collar. A customer has recently asked me why there are so many fewer examples on this page than on our leather work site. 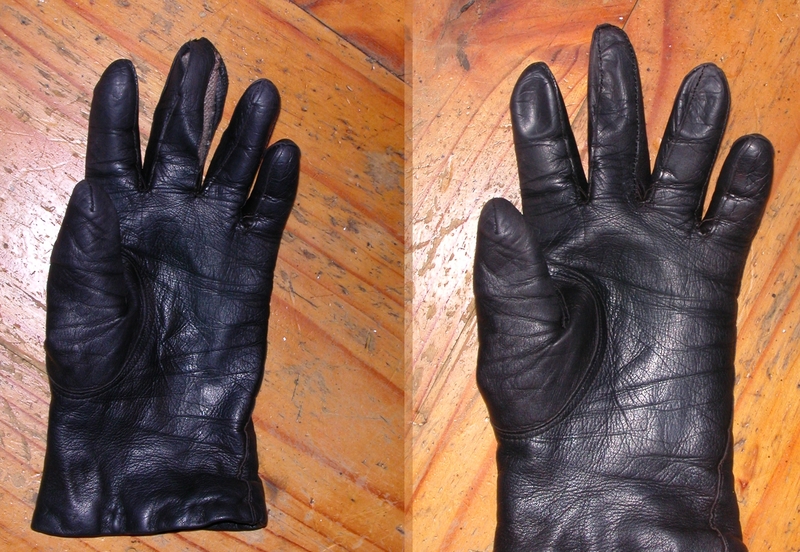 The answer is simply that the difference between "before" and "after" is harder to photograph (as I am not a photographer) and a really good repair on a fabric garment is, as it should be, almost invisible.